Welcome to New Zealand’s leading Demi Au Pair programme. We place over 100 Demi Au Pairs into New Zealand families each year. If you love working with children and would like a cost-effective way to study and travel then this could be a great programme for you. Demi Au Pairs live in with a family, and work for the family for up to 20 hours per week, helping with childcare and housework. In exchange for working, families provide Demi Au Pairs with full board (bedroom and meals), a stipend of $90 per week, and transport costs to school and back. 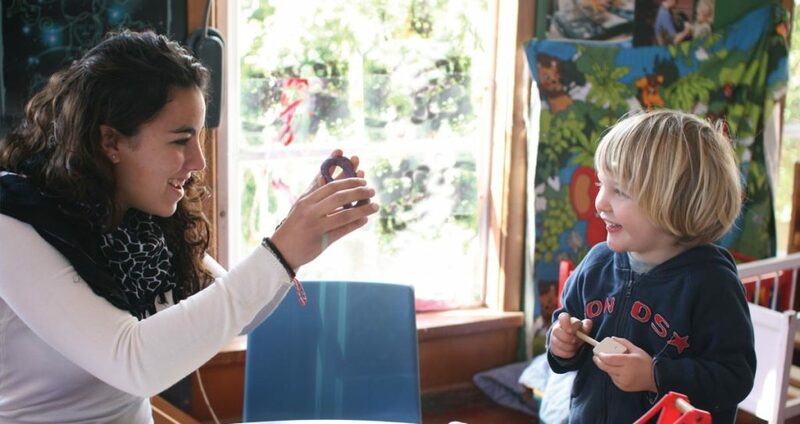 While working as a Demi Au Pair, students can study 15 or 20 hours per week, choosing from several English study options, including General English, IELTS or Cambridge Exam Preparation. Students provide their earliest possible starting date. Once a Demi Au Pair family has been assigned, a suitable starting date for the student and family will be arranged. General English/ IELTS Prep courses start every Monday, Cambridge CAE courses start in January and September. Participant should have child care experience (e.g. babysitting, voluntary work), a police check and childcare references.